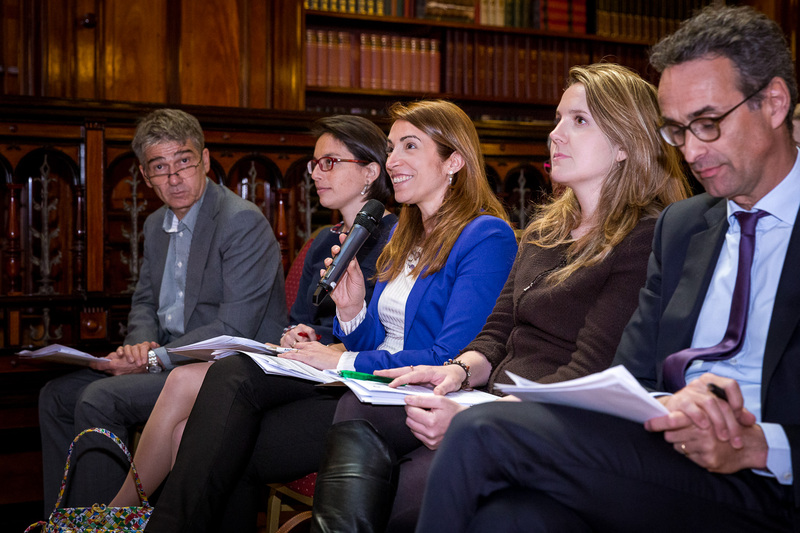 Speaking in Brussels recently, six young European entrepreneurs credited their success to key attributes. They also had advice for policymakers. 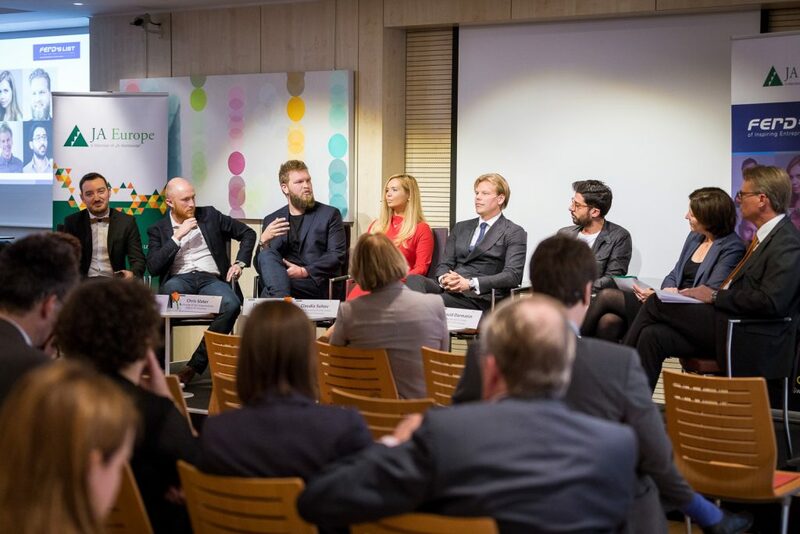 The entrepreneurs were participating in an event organised by JA Europe and Ferd, the leading Norway-based investor with a specialist interest in fostering the social economy. The six, all alumni of JA programmes, were the first to join Ferd’s List, an annual award for inspirational entrepreneurship and leaders. The event concluded with a round table for stakeholders. This was a theme picked up by Johan Andresen, chairman of Ferd and sponsor of Ferd’s List. The jury had been impressed by the “lasting values and clear footprints” of the six honourees, he said. He went on to explain that entrepreneurship is about developing a mind-set whose characteristics included initiative, curiosity, and willingness to give back to society. Important though these are in business, they matter for other occupations, too. “Entrepreneurship is too important for entrepreneurs alone.” He suggested that honourees on a future Ferd’s List ought to represent a more diverse occupational group. They should include doctors and perhaps even ambassadors. So to which key attributes did the six honourees owe their success? You might expect them to identify commitment and perseverance amongst their ‘must-haves’ and they did. There were less obvious attributes as well. Six stood out. A second attribute was desire to look beyond their immediate surroundings. “Travel,” urged David Darmanin, CEO of Hotjar, a new powerful way to reveal true website user behaviour and experiences with one central tool. Think big, he said; go global quickly. Natural advice from a Maltese like David perhaps but practising what he preaches has seen Hotjar grow into a company that in May reported annually recurring revenues of $8m – and its only three years since he founded it. Third attribute: understand your market. Claudia Suhov, who provides education programmes in Romania through her company Kidster, encouraged would-be entrepreneurs to give priority to marketing. You need to know what you are trying to sell; that’s a given. But you need also to know how to sell it. For her marketing is an indispensable skill for an entrepreneur. And you must be a lifelong learner. “It’s been seven years since founding Kidster and I’m learning new things every day,” she revealed. Next: humility. But surely humility and entrepreneurship cannot go together? They must, suggested Chris Slater, founder of Simply Business, now one of the UK’s largest online business insurance providers. “Be humble and celebrate the success of others,” he recommended, and make sure that you learn from it. He also stressed the importance of “doing it in the right way.” Companies must serve society as a whole as well as their shareholders and employees. Number five: be willing to dump traditional business models. Erik Fjellborg, Swedish founder of Quinyx, offering the first fully cloud-based workforce management solutions, said that today’s entrepreneurs needed to embrace new ways of employing their team members. Short-term contracts in the so-called gig economy offered exciting opportunities for employee and employer alike. But in the end “just do it,” said Boris Kolev, serial entrepreneur and founder of DigiMark Ventures, a Sofia-headquartered mobile applications company. “Be out there and do stuff,” agreed David Darmanin. Have the courage to try. Do not be discouraged by failure. Learn from it and try again. The six honourees had advice for policymakers as well. They should stop giving free money to business, said Boris Kolev. In his opinion “Europe ruins competitivity with grants.” For David Darmanin policymakers “need to make things simple.” They should work to reduce friction in the system. Start-ups should be allowed to be disruptive. Lower taxes and less paperwork would help start-ups, thought Claudia Suhov, whilst Chris Slater returned to the learning theme with his view that public authorities should encourage mentoring programmes and support networks for fledgling entrepreneurs. Responding for the European Commission, DG GROW’s head of unit for entrepreneurship, Ulla Engelmann, said that policymakers aimed to be facilitators by creating opportunities for learning and best practice exchange and by encouraging the member states to remove barriers to entrepreneurship. Policymakers at national and European level had to create what she called a supportive eco-system for entrepreneurs. Innovation Norway aims to do just that. Pål Næss, Director of Entrepreneurs and Start-ups and member of the Ferd’s List jury, described some of the services available from his organisation. They help entrepreneurs from the very beginning (by testing the first ideas in likeminded networks) through development (offering mentoring and specialist advice) to market entry (for example, with market analysis and start-up grants) and support for global ambitions with advice about international competitivity. In his view one of the main tasks for public policy in this area is working alongside entrepreneurs to remove barriers for global success and providing mentoring and support services at the early start-up phase. Eva Maydell, Bulgarian MEP and JA ambassador, urged policymakers to acquire real practical experience in the field. Chris Slater, founder of leading UK online business insurance provider, strongly agreed. He suggested that officials must work closely with the private sector. Mrs Maydell also drew attention to different opinions amongst her colleagues in the parliament. For example, some were highly critical of Google and Facebook whilst others regretted the absence of European equivalents. There was no consensus yet. Agreement was widespread, however, on the need for entrepreneurial education. It should start at primary schools, thought Irene Cervellera Micheli, CEO of We Are Family Foundation. Acquiring basic digital skills was indispensable. For Boris Kolev it was important to teach in the right way. Learning by doing not remembering by reading was key to developing an entrepreneurial mind set. We needed to empower and support teachers, argued Eva Maydell. Too many feel unprepared to teach entrepreneurship. She added that one in six employers report that they cannot find the right applicants for the vacancies they have. We can fill this gap by widening the availability of entrepreneurship education courses. Caroline Jenner, CEO of JA Europe, agreed that this was urgently needed. Concluding the event, she pointed out that less than 20% of young Europeans had access to school programmes of entrepreneurial education. This had to change.